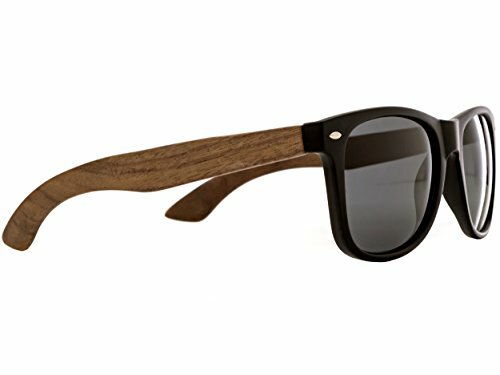 These walnut wood classic style sunglasses are not only beautiful, but also very unique. 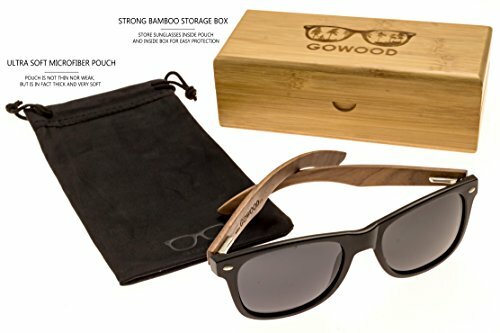 The wooden temples made of dark walnut wood have unique wood grains for each pair. 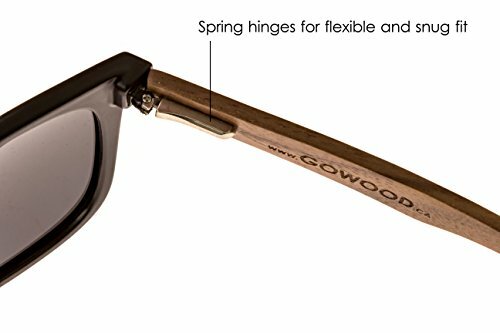 And while sunglasses with bamboo legs have been popular for some time now, this new style with dark walnut wood temples is taking over in popularity. - Every pair comes with an ultra soft microfiber pouch. Not a thin low quality cloth, but in fact a thick high quality pouch. - The lenses are UV400 protective ánd polarized. Be safe and protect your eyes, you only have two! - 30 day 100% money back guarantee. Don't like 'em? Return them for a full refund. We happily take away all risk for you. Be careful with your precious eyes... You only have two. Once damaged, it's in almost all cases permanently. Don't cheap out on sunglasses that can really hurt your eyes. Our sunglasses are fullfilled by Amazon. Prime members get free shipping, non-prime members will get quick delivery from an Amazon warehouse nearby. We provide excellent customer service: for any questions, or issues, simply contact us for fast and courteous after sale care. Save money by making use of our launch promo; discounted price only while stock lasts. Don't hesitate and hit the "Add To Cart" button today.